Sewing, craft and embroidery pattern for a miniature sized dollhouse bed (sizes range from 4" to 5" across to 6" to 8" in length) Very simple directions showing how to use a similar technique to make the pillows, bedspread/comforter, mattress and throw. 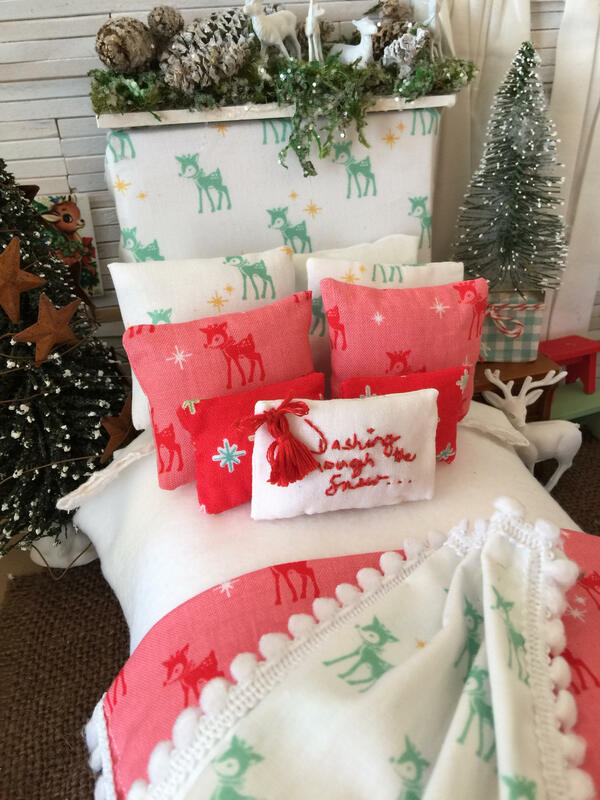 This bedding and pictures were featured in the American Miniaturist magazine for their Christmas issue. 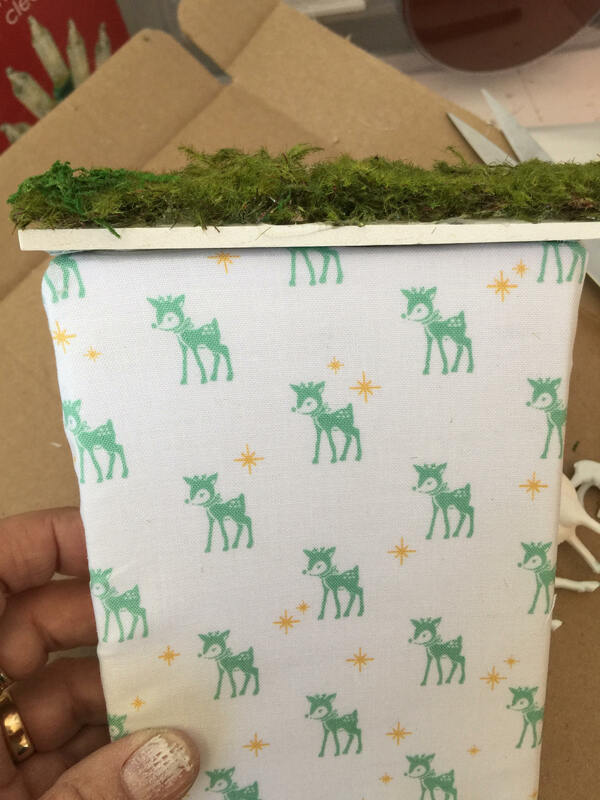 I explain how to make and fit it onto a purchased or pre-made dollhouse bed and how to size it. I've found that dollhouse beds are often different sizes, and I explain what to do, to make the bedding fit the bed you have. 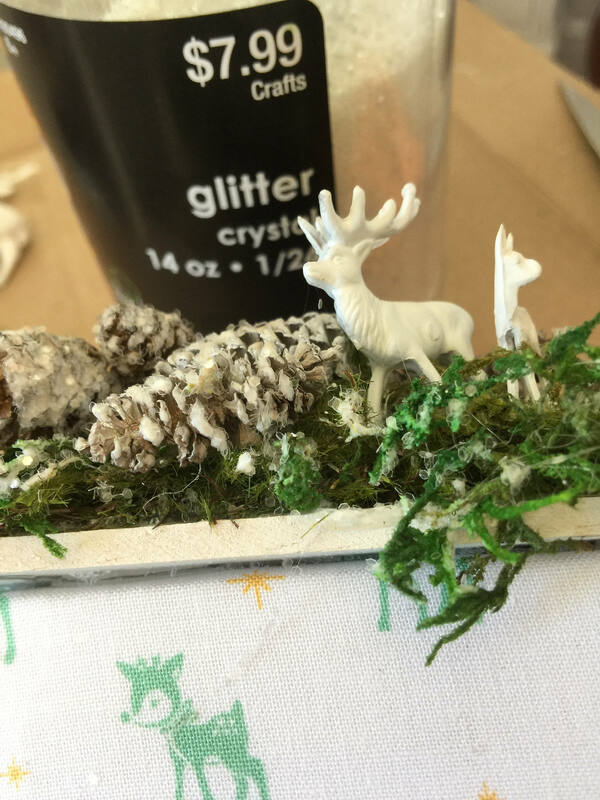 Basics needed are a sewing machine, glue or glue gun, white spray paint, glitter, tiny pinecones, ornaments and little reindeer. 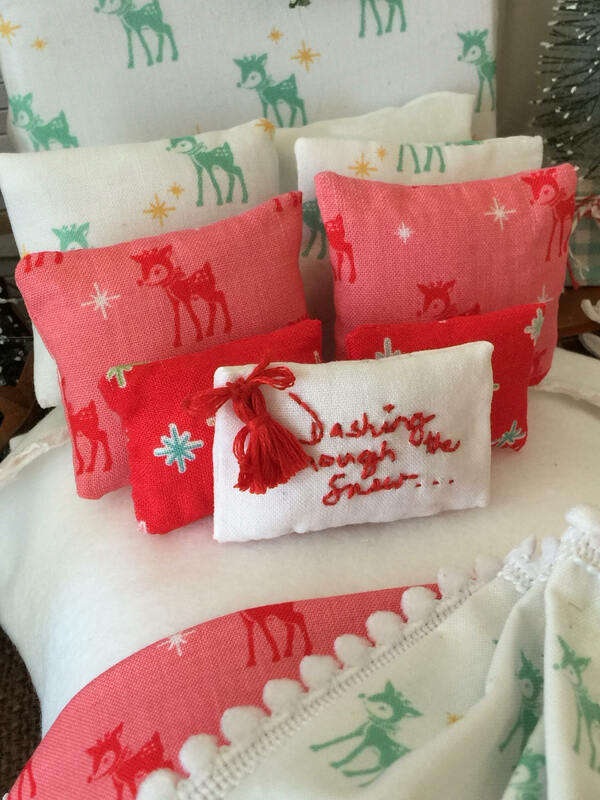 Fabric can be solids or Christmas prints with small designs. I used fabric designed by Lori Holt and Carried by Riley Blake designs. Found here on Etsy. 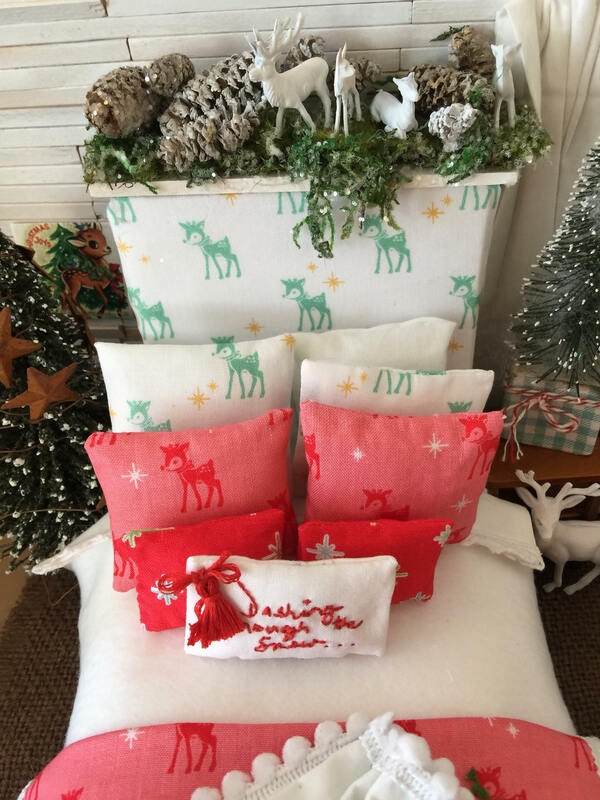 I just typed in 'Christmas fabric by Lori Holt' and found several shops who carry the fabric with the little reindeer. My philosophy in making little things is to use a simple pattern (all mine are simple with this thought in mind) and beautiful fabric! I want my projects to be something people enjoy and can enjoy the end product. 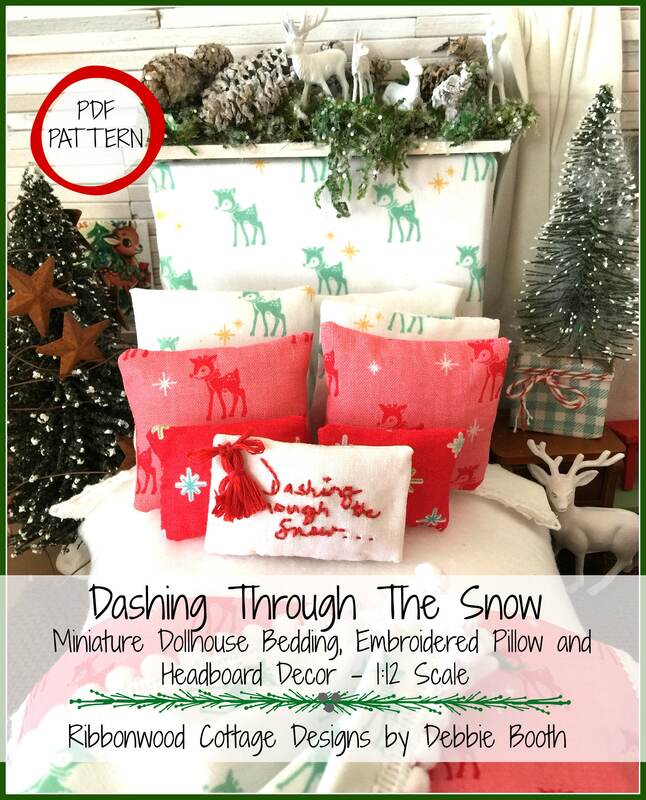 This is a PDF downloadable pattern. The link will be provided to you upon completion of the transaction. The link will be the entire pattern and can be printed out as many times as desired. I just ask that you not share my printed patterns on any social media accounts. Thank you so much.